*Please note: This is a private residence, please be respectful of the property and the resident's right to privacy. 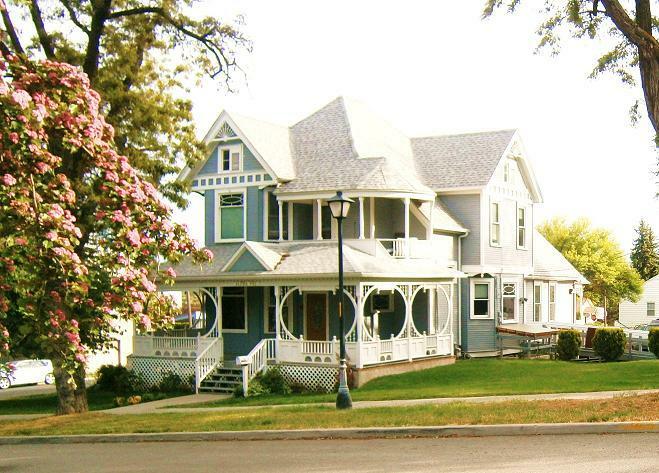 This beautifully crafted house was built in 1904 by local retired farmer David Lowe. This house was built in the Queen Anne style and boasts whimsical arches and a wrap around front porch. When Lowe built the house, he also built a conjoining one and a half story carriage house that held his horses and is one of the only barns that still stands within Cheney city limits. There is also a potting shed in the back area of the house. 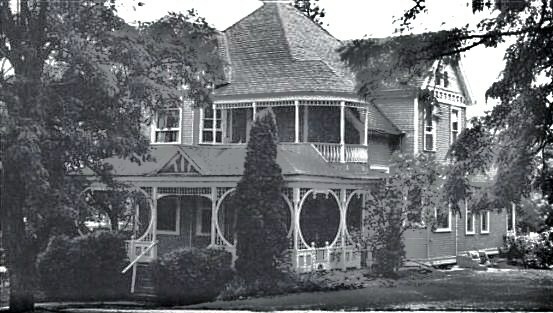 In 1983, the house was nominated to be included on the National Register of Historic Places and on the Washington Heritage Registers. David Lowe lived in Cheney in the early 1900's. He owned about 400-acres of land outside of Cheney for most of his working life until his retirement. After he retired, he built the house and spent his days tending to his horses in his carriage house. He was an active member of the local Masonic Lodge and dabbled in the real estate business. He and his wife Bessie were also involved in the humanitarian causes such as helping the victims of the San Francisco earthquake of 1906. Bessie Lowe was involved in the social life within the Cheney community and was at one time the treasure for the Cheney Eastern Star. It is reported that she really enjoyed sitting on her porch on her swing. Because the Lowe's did not have any children, they graciously took in students from the surrounding areas to board with them while they attending the college. Once the couple passed away in the mid-1930's, Mrs. Lowe's sister, Helen Ware took over the house and kept it as a boarding house for young women and the house has continued to be used as a multi-dwelling house ever since. Since its construction, there have been a few remodeling jobs to take the home from a single family dwelling to a multi-occupancy building. In the mid-1990's, the female sorority Alpha Phi bought the house and remodeled it to house the number of occupants they have. The top floor of the building which was the original dwellings of the house servants is now the home to up to 10 tenants. In the last couple years, the basement was also remodeled and also houses up to 10 tenants. The David Lowe House : This is a front view of the David Lowe House from "F" Street and South of 3rd Street. The picture is courtesy of the private collection of Laura Glasgow. The David Lowe House : Picture Courtesy of Ruth Kirk and Carmela Alexander, Exploring Washington's Past: A Road Guide to History (1990) pg. 5-7. The David Lowe House : This is a side view of the house from the corner of "F" Street and 3rd Street. This picture is courtesy of the private collection of Laura Glasgow. David Lowe House : This pictures is of the other side of the house. Picture courtesy of private collection of Laura Glasgow. Laura Glasgow , “David Lowe House ,” Spokane Historical, accessed April 20, 2019, https://spokanehistorical.org/items/show/228. 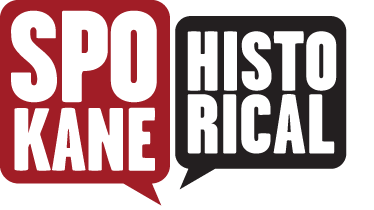 Cheney Historical Preservation Commission. 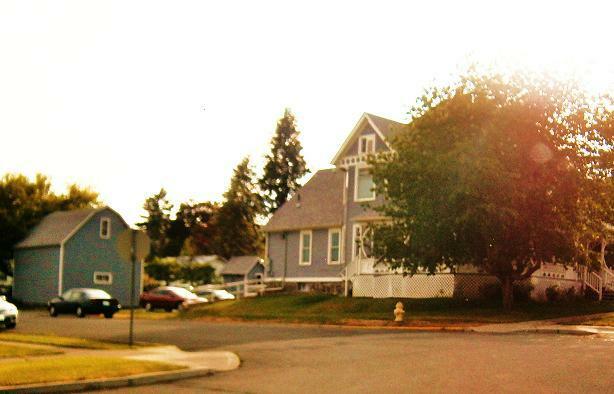 A Guide to the Central Cheney Historic District. United States Department of the Interior: National Park Service, National Register of History Places Inventory Nomination Form, September 4, 1983. Available [Online]. Ruth Kirk and Carmela Alexander, Exploring Washington's Past: A Road Guide to History (1990) pg. 5-7.